Ellicottville bed and breakfast travel guide for romantic, historic and adventure b&b's. 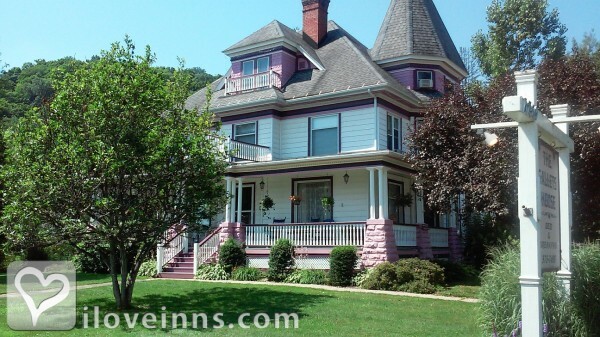 Browse through the iLoveInns.com database of Ellicottville, New York bed and breakfasts and country inns to find detailed listings that include room rates, special deals and area activities. You can click on the 'check rates and availability' button to contact the innkeeper. Where is the best place to take a historic walking tour around a progressive village that still cherishes its past yet embraces the future? It is in a place called Ellicottville in New York State. You will find yourself and your family needing more than just a weekend's stay in this quaint yet progressive town, activities ranging from archery to hiking and biking, horseback riding, hunting and fishing, shopping, skydiving, snow tubing, snowmobiling, swimming, being pampered in some of the best spas in the country, and swimming, whatever type of outdoor activity that can spell fun for the whole family is here in Ellicottville. If you are after the arts, Ellicottville has exhibits and museums all year round, plus there is ample and exciting nightlife and dining. All these amenities do not compromise the quaintness of the place, including the serenity and calm brought by fine Ellicottville bed and breakfasts. By The Jefferson Inn of Ellicottville.